This review is now out of date. 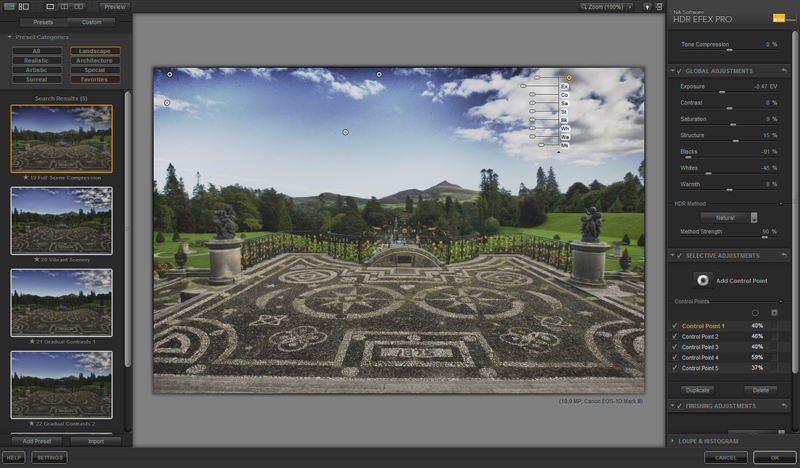 Please click here to see my review of HDR Efex Pro 2. During the summer of 2009 when I was on a leave of absence / vacation from my day job due to the birth of my son. I had lots of time to think during this time, and as I edited some of my photos during my down time the thing that was on my mind was how hard it was to get good HDR results. At the same time, I was using my Nik Software products and realizing how much time I save by using U-Point controls (over the old mechanism of using layer masks in Photoshop). I started to think – wow, wouldn’t it be cool if there were an HDR program that could do that, yet have some of the ease of use (i.e., presets) of Color Efex and Silver Efex Pro? With that in mind I contacted Nik Software and gave them my laundry list of things I wanted to see in “the perfect HDR software product”. What you see today in HDR Efex Pro is a realization of much of that vision, so I’m quite pleased to announce the arrival of this very cool product! Maximize support (press the undiscoverable F key to maximize) – This shouldn’t be a great feature but since Viveza 2 is the only other Nik product that offers it (that I’ve discovered), it’s a welcome addition to quickly get more screen real estate to work. Presets with Thumbnails – It’s great to have a categorized group of presets to make it easier to find a good starting point to express your vision. I worry that this feature might contribute to some of the sluggishness of the product, but it’s a must have feature. I would prefer to see Color Efex Pro’s design where the tabs are on the side instead of robbing real estate at the top. Navigator – Since zoom feels very busted, it is nice to have a Photoshop/Lightroom style navigator to help orient yourself when zoomed in. I only wish this were integrated with the loupe (as a tab) so the little window doesn’t obscure my view as shown above. U-Point Controls – The crown jewel of Nik are its U-Point controls which help to make precise adjustments that differ from your global adjustments a breeze. This minimizes the time you need to spend in Photoshop doing layer masks, so this is a huge time saver. I only wish that Viveza 2’s control point groups feature existed as well as its ability to adjust the sliders in the right panel instead of just on the controls itself (which use cryptic abbreviations). I highly recommend checking all boxes! Zoom – Okay, this is just broken. In 2010, all user interfaces should support zoom (even if it isn’t smooth zoom) for the mouse wheel (PC) or gestures (Mac touchpad, magic mouse, etc…). Zoom is a fundamental tool that is used heavily when photo editing, so anything less than great zoom in and out is totally unacceptable. I really, really, really hate the way this product fails to offer a zoom story that is seamless. Sluggish Refresh – I was hoping this was a PC thing, but I’ve tried now on both the fastest 8GB i7-based MacBook Pro you can buy from Apple today and the fastest laptop Lenovo makes (which uses a video card with 128 cores and 1GB of video RAM) as well as two desktops both optimized for photography and there’s no escaping this point – this thing is slow. Fortunately it is usable, but it just feels a bit like the days when Photoshop CS3 was all the rage and your system couldn’t keep up with it. Given video hardware acceleration, the fact that a mini-version (i.e., screen resolution by 72 ppi) of the workable region of the image could be cached it is hard to understand what exactly is causing Calculating… message to be such a common part of life with this product. Fortunately the performance is much improved in the final release over some of the earlier betas, so its now more of an annoyance than show stopper. Histogram – This thing looks like a wiring diagram or EKG rather than the traditional histogram we are used to seeing in Lightroom and on our cameras. I think I can see that the goal here was to offer overlays so you could see red, green and blue all at the same time but honestly with the way my brain works it’s too busy and confusing to add much value. Vignette – It’s rare that I say something like this, but don’t use this feature! 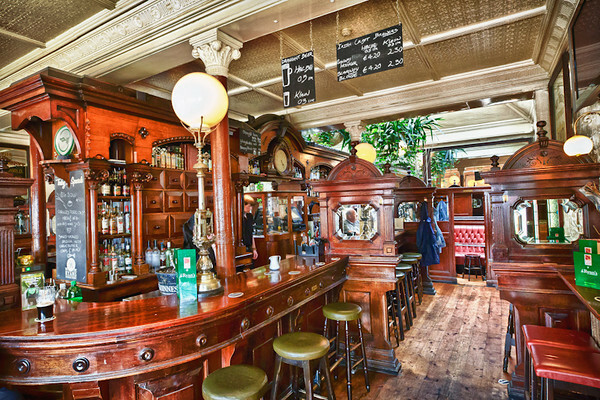 The reason why I say this is simple – unless your bar is very low or you are an absolute Ninja with U-Point controls, your image will need additional work after you click Ok in HDR Efex Pro. With this being the case you’ll find your decision to add a vignette to be a costly one (especially if you didn’t choose the Smart Object checkbox in the merge dialog. Why? Because if you try to blend layers, add layer masks, crop your image, etc… your vignette will get screwed up and your image will look like crap. Instead, save vignetting for your second to last step in Lightroom or using Color Efex. It’s just too early in the image processing phase to use it here and it will only come back to haunt you. With that said they’ve added some nice features here which I hope to see in the next version of Color Efex as Lightroom 3 is my vignetting weapon of choice at the moment. 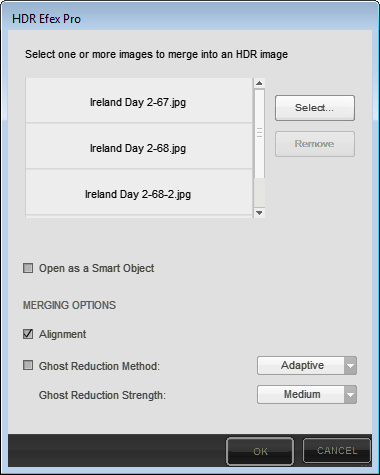 HDR Method – This is probably a great feature, but honesty there’s just too many choices that make it difficult to understand how to best utilize this feature. Logic dictates that I will love this feature one day, but for now it is just too much for the new user of this product and the inability to see which one does as you hover over the choices makes it more cumbersome to find out. Undo – Unless I’m missing something, there isn’t one, and that’s a HUGE problem because there are so many things to adjust that if you accidentally click a preset you could find yourself losing 30 minutes+ of work (don’t ask me how I know). Just like #1, zoom, in 2010 no product features should even be written before this feature is completed. This is core user-interface design and programming 101 these days! 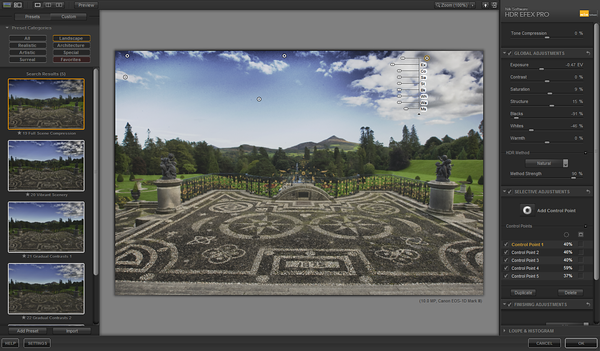 With all of that out of my system, I’ll say that despite my gripes this user-interface blows Photomatix 4.0 away. It’s like comparing a stone to a pen as a writing tool. 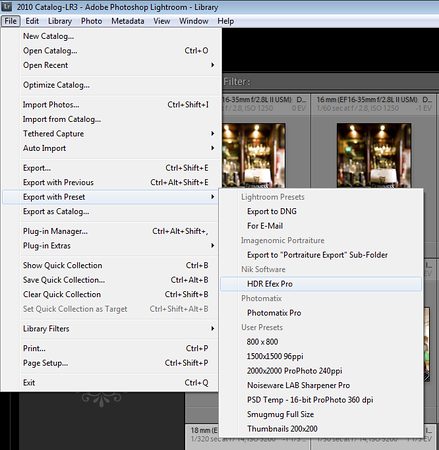 Hands down, you will be more productive and have fewer reasons to create layer masks in Photoshop in HDR Efex Pro than you ever could with Photomatix 4. 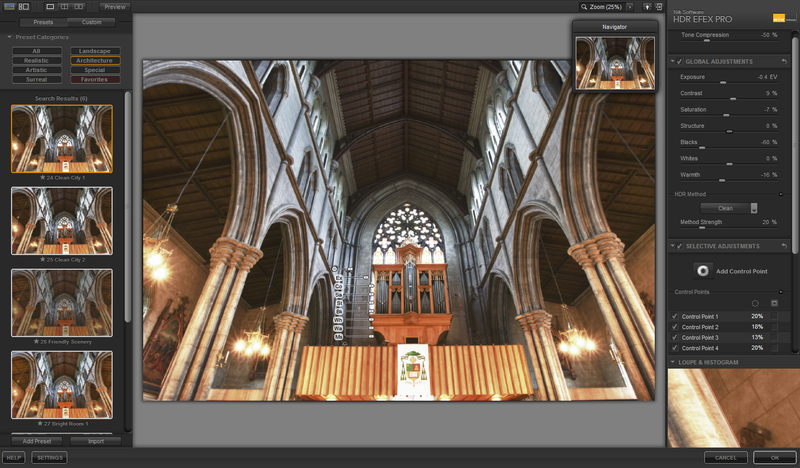 In the category of user-interface design, HDR Efex Pro is the clear winner! I also recognize that shipping is a feature, and that compromises have to be made, so my wish is that this feedback will be used to make HDR Efex Pro 2.0 a much better product. Given my experience with Nik Software products thus far, I am confident it will. It isn’t terribly obvious on how to use HDR Efex Pro from Lightroom, but once you get the hang of it then it’s no big deal. 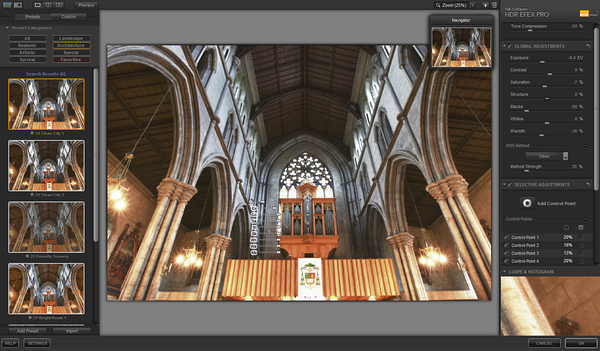 You simply select your files, and choose File | Export with Preset and then HDR Efex Pro as shown above. 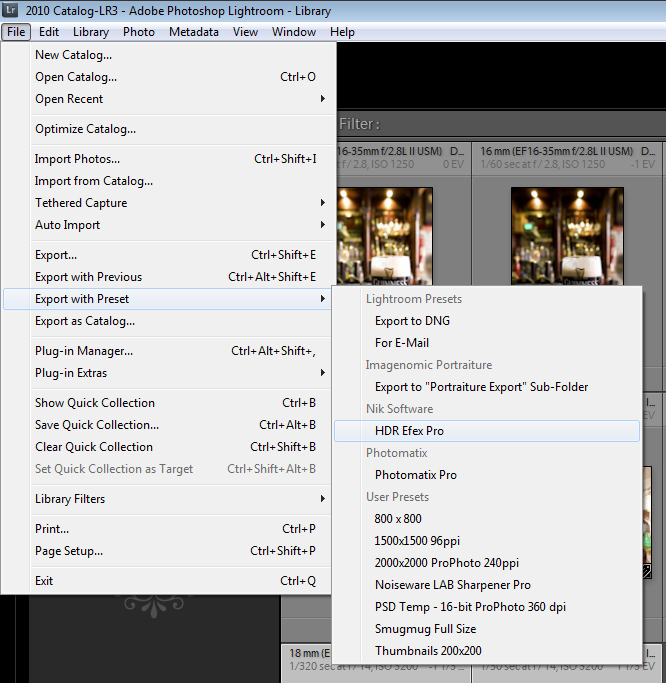 This creates the temporary files, launches the UI and then when you are done you click save and HDR Efex imports the new photo into Lightroom’s “All Photographs” collection. I used Dfine first to get rid of the noise, a layer mask on the best exposure to bring back the clouds, a little Color Efex love to enhance the image and Sharpener Pro to finish it up. I did my final crop and distortion corrections and vignette in Lightroom 3.0 and I added a splash of fill light back in to keep it from being too dark in Internet Explorer. Hover over the image above to see the before (0 EV) and mouse out to see the after image. You’ll notice that the big advantage that HDR offers this photo is that the forest and the statues have a lot more dynamic range and don’t just fade into black. The inconsistent sky color is from the vignette I added intentionally in Lightroom around the entire image to keep the viewers eyes in the photo, but it is an optional step you can skip if you don’t like that effect. One of the clear advantages this product has over Photoshop CS5, and Photomatix 4.0 is how much you can do in the user-interface and how little you have left to do when you get to Photoshop. This is especially important for those using this product from Aperture or Lightroom because if your HDR product doesn’t get you 90%+ of the way done, your going to find yourself needing Photoshop to complete the rest of your work. Photoshop ain’t cheap, so if you can’t afford it then quite simply – your screwed. In many cases, the problems that remained when I was done with my image in HDR Efex Pro only required changes and adjustments which could easily be accomplished in Aperture 3+ and Lightroom 2+, so if you are on the fence about Photomatix versus HDR Efex Pro and you don’t own Photoshop, then there’s no discussion – HDR Efex Pro is your only choice. The shot above was processed from one RAW image entirely in Lightroom 3 and HDR Efex Pro. You’ll notice that the area of the bar and floor by the bar stools and the texture of the ceiling ceiling (despite being darker) both gain a lot more dynamic range. 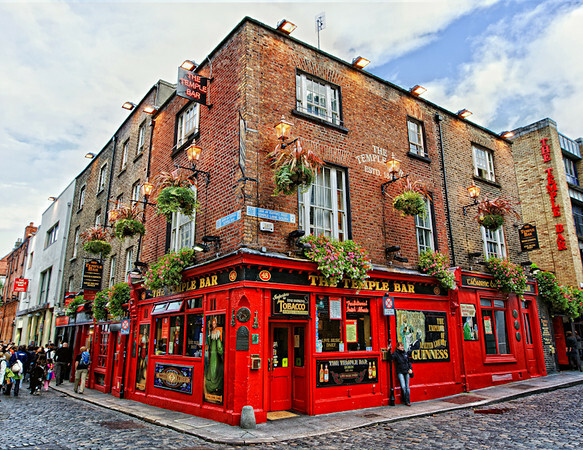 Overall the environment of the HDR version feels closer to what my eyes remember seeing in this pub in Dublin, Ireland. I was always unhappy with the original because it just didn’t do the wood justice and it just felt a little blah and flat. It is very rewarding to bring a shot back to life after two years of living unprocessed on a drive because no tools at the time (not even Photomatix) could really get it to look the way I remembered. This is where HDR products like HDR Efex Pro shine, and I didn’t even have to use Photoshop to get my final results – woohoo! 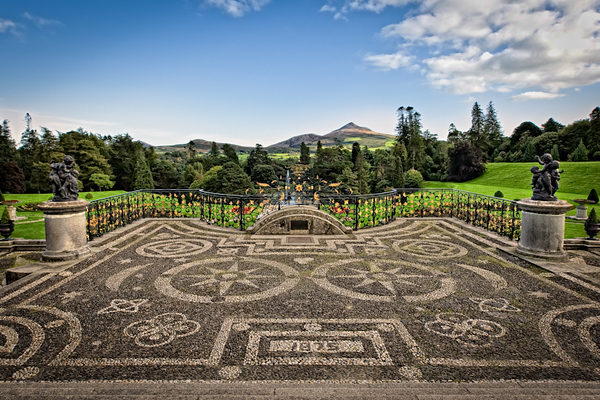 While doing HDR work, it can be a fun because you are dealing with a wide range of colors and detail than you typical get with your ordinary photos. However, with great power comes great responsibility and you don’t want your photos looking like the one above. Sadly, it is easy to get cheesy because you are starting off in a 32-bit color space and by the time you get your image on the web it’s been converted down to a 8 bit color space, so with all of that down sampling ugly things can happen. It gets even worse if your monitor isn’t calibrated or if you have a bad color management system. Despite the fact that I have all my monitors calibrated with my ColorMunki, I found that the preview color in HDR Efex Pro for the Mac (MacBook Pro i7, 10.6.4, & Photoshop CS5) was less accurate in the user-interface than what you get after you hit OK and return to Photoshop CS5. Once you are in Photoshop you are looking at effectively a useless 32-bit image which must be down converted to a 16 or 8-bit image (Image–> Mode –> 16-bit) to be of any real use, so this makes matters even worse as the colors shift again. I have a better display for my PC (a NEC PA241W-BK) running Windows 7, so what I saw in HDR Efex and in Photoshop CS4 was identical. I’m not sure if the problem is Photoshop CS5 (which is VERY buggy on the Mac), OS X 10.6.4, or the MacBook display, but whatever it is my editing on the Mac resulted in a putrid image that had to be discarded after I saw the results on other systems. Even on the PC, it is easy to get carried away (examples above & below) and create images that might look good to you at the time, but then look like radioactive crap to others (and yourself days later). Have fun, experiment with color and enjoy artistic freedom, but please try to go easy on the cheese with your photos. The Gothic Look – just some tacky fun to make things more interesting than the boring original! I’m glad Nik Software has got into this space because I’m a huge fan of their existing product line and the U-Point technology. 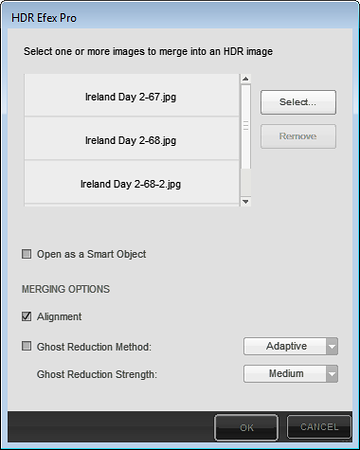 I think this release is a great start and will save a ton of time for those doing HDR on a regular basis. The power of the U-Point controls and all of the flexibility this product offers in its image processing is sure to make it a hit – especially for those without Photoshop. To be 100% open and honest, in my unscientific testing I found Photomatix to be faster and and offer significantly better alignment and ghosting algorithms (based on my unscientific testing with my test images), but when you are done tweaking your image in Photomatix you’ve gotta go to Photoshop to finish it. This is where HDR Efex Pro will be the product of choice because the performance of Photomatix isn’t significant enough to overcome the amount of time you save by using the Nik U-Point controls. From start to finish, you’ll likely find that you are done with your images processing using HDR Efex Pro in much less time than it would take with the Photomatix/Photoshop combo – even if you use Photoshop with some of your HDR Efex Pro images. 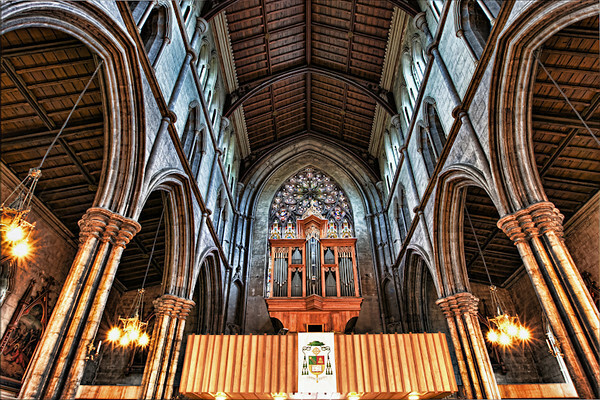 The learning curve of this and other HDR products is a bit steep at first, but thankfully well done presets will get you most of the way there. The real reward will come to those who master the large number of controls to tweak your images endlessly. HDR Efex Pro’s great support for incorporating community presets will only help us all in months to come as presets from HDR pros start to appear around the web. Be sure to post comments or send me mail with all the cool presets you discover! I’m thrilled to report that setup for this product is the easiest of all the Nik products I’ve used to date! With one-installer, it will install 32 & 64-bit versions on either the Windows or Mac OS X platform. It also installs add-ins for Photoshop, Lightroom and Bridge automatically at the same time – all with one easy and fast install program – woohoo! To learn more or to download your free 15 day trial version, visit http://www.niksoftware.com/hdrefexpro/usa/entry.php, and to purchase at a discount see below. Nik Software is offering 15% off ALL its products when you use the code RMARTINSEN as shown above, so save on HDR Efex Pro or the entire Nik Software bundle! I’ve use the entire Nik Suite almost every day of the last couple years (seriously, I do), so I couldn’t live without it. If you don’t have the suite, it makes more economical sense to buy everything all at once than it does to buy them piecemeal over time. If you experience any problems with this code, please be sure to check my discount coupon code page for all the latest special offer updates for products mentioned on this blog. 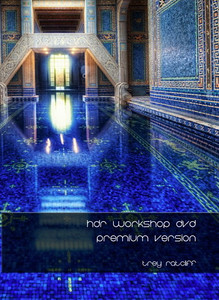 You can also save on the best HDR training product on the web when you check out the special offer at the end of my review of the HDR Workshop DVD. If you are going to do HDR work, then I highly recommend the premium version of this series as a way to learn powerful Photoshop techniques to make your images look their best. While Trey uses Photomatix, instead of HDR Efex Pro (because it didn’t exist at the time the DVD was made), 90% of the concepts will still apply to a workflow using HDR Color Efex. 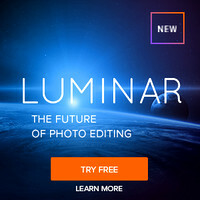 I strongly encourage you to get one of these today – it’s helped me A LOT as Photoshop user, and the core concepts are totally transferrable to HDR Efex. Follow me and share this article with your friends! 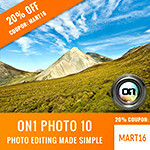 Trey Ratcliff (maker of the HDR DVD Workshop), HDRSoft (the makers of Photomatix) and Nik Software are all partners of this blog and offer discounts to my readers and a small commission to me when you use those codes. Please support this blog by making your purchases using the links on this blog. 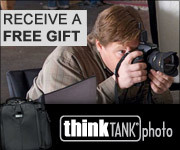 I agree with most of your critique; I too am a big fan of NIK and want their HDRfx offering to succeed. However, right now I err on the side of still favoring Photomatix. HDRfx is very slow; both in compute time and memory space. IT becomes painful with a big screen monitor; particular a 30 inch (MacBook Pro, 8gb, Snowtiger). I suspect (hope) this is a bug soon to be repaired; but it takes 1 minute to paint the screen (vs. 10-15 seconds on a smaller screen). I find the ghosting method better with photomatix 4. With that one you select the area in question and then select which of the photos to use (instead of merging all together). Very effective with things like flags, etc. although it has its downsides, particularly if the ghost area is in the middle of an area which is getting its exposure adjusted. With HDRfx its automated, and so you have no control over what gets done. My (limited) experience so far is that to turn the ghost control up so it fixes one spot invariably creates artifact elsewhere. Overall I find photomatix to produce more “vibrant” photos (whatever that means!). I agree with the user interface kudus; but the slightly inferior results coupled with the unusable speed on a big monitor makes it currently not my choice.